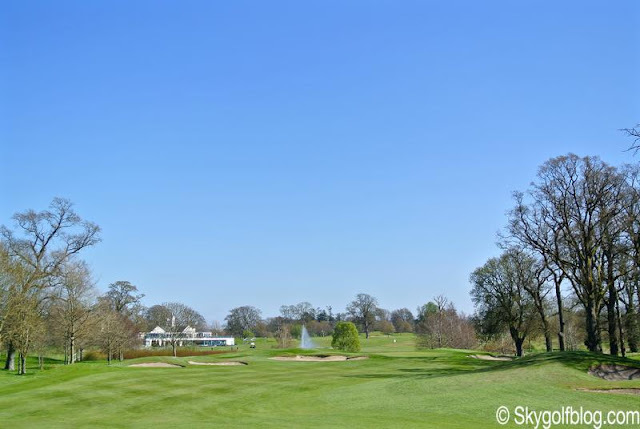 Since centuries Golf is part of the history of Ireland, and since 2006 The Palmer Ryder Cup Course in County Kildare is part of the history of Golf. 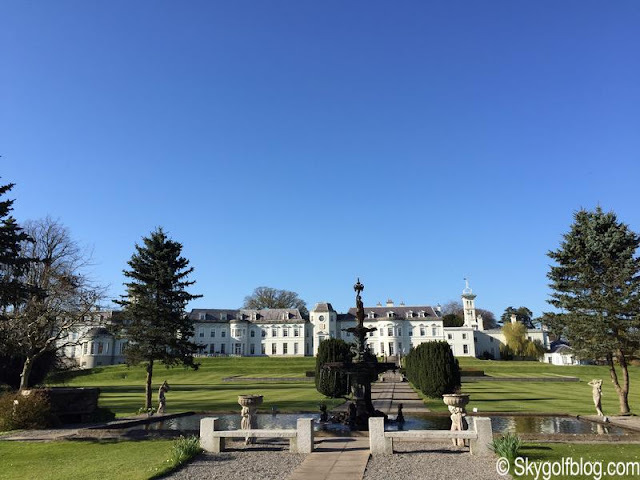 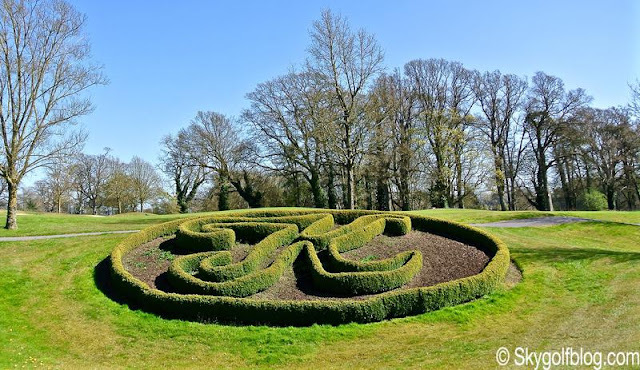 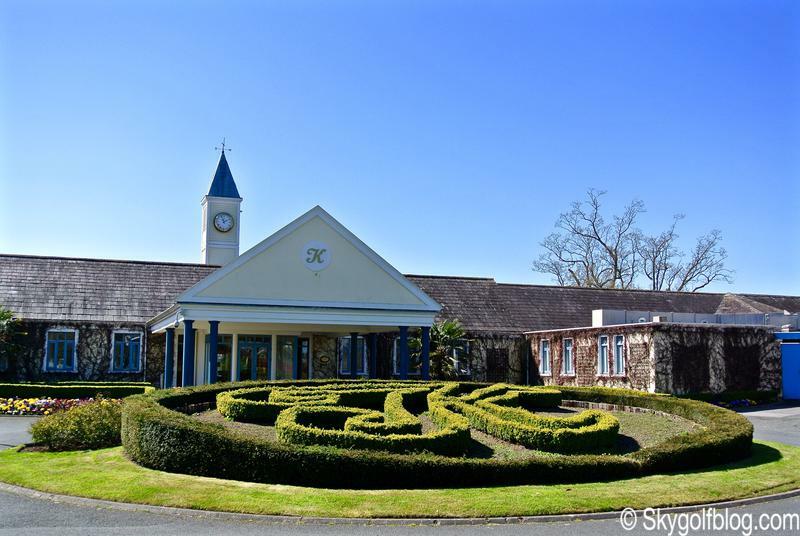 Originally known as The North Course, The Palmer Ryder Cup Course opened for play in 1991 and it is part of one of the most luxurious and most awarded resorts in Ireland, the six-stars The Kildare Hotel Spa & Country Club, or The K Club. 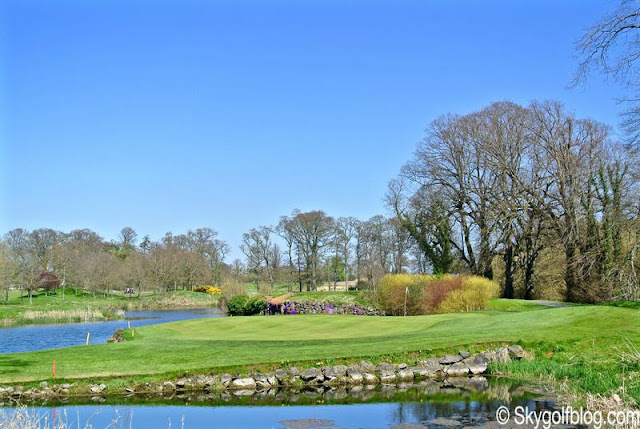 The North Course was followed in 2003 by the South Course, today the Smurfit Course, another Arnold Palmer creation, providing the resort of 36 holes on two championship golf courses designed by the King. 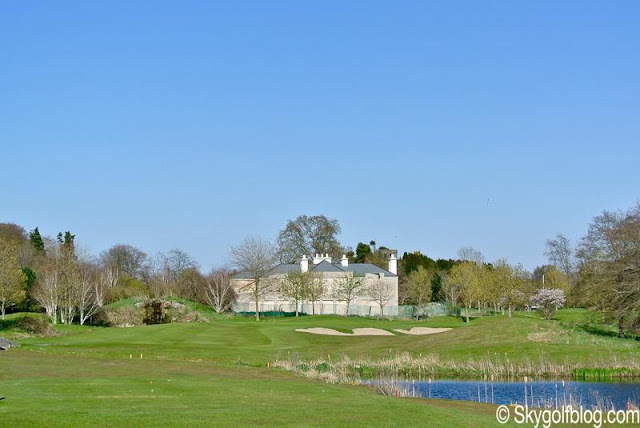 Although not an ordinary "Irish" golf course, The Palmer Ryder Cup Course is today known as one of the best and most challenging layout of the Emerald Island. 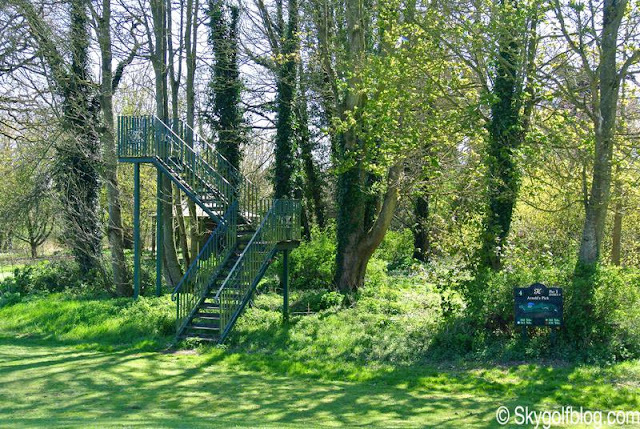 Tough but enjoyable. A true american style parkland that measures 7,350 yards, long and spacious featuring water hazards on thirteen holes, blind shots, large but not forgiving landing areas, strategically placed bunkers and huge and sloping greens. 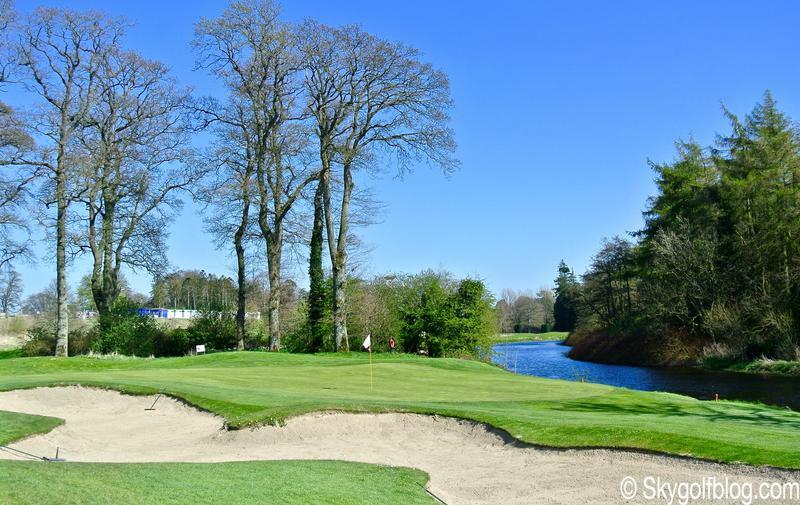 One of the most memorable features of the course is the River Liffey, a gently flowing river, that eventually passes through Dublin, weaving its way alongside several holes. Ranked regularly in the top 3 parkland golf courses in Ireland, this Palmer designed golf haven is a must play 'badge of honour' that has hosted the top golf players in the world. 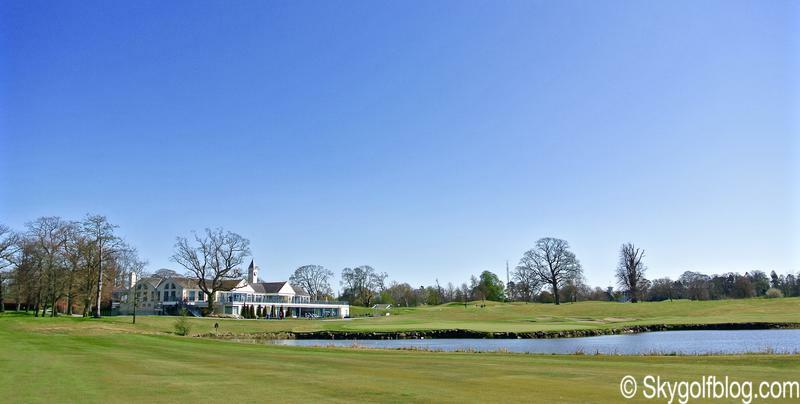 The Ryder Cup in 2006 and 11 European Opens (1995-2007) testify the importance of The Palmer Ryder Cup Course to European Golf. 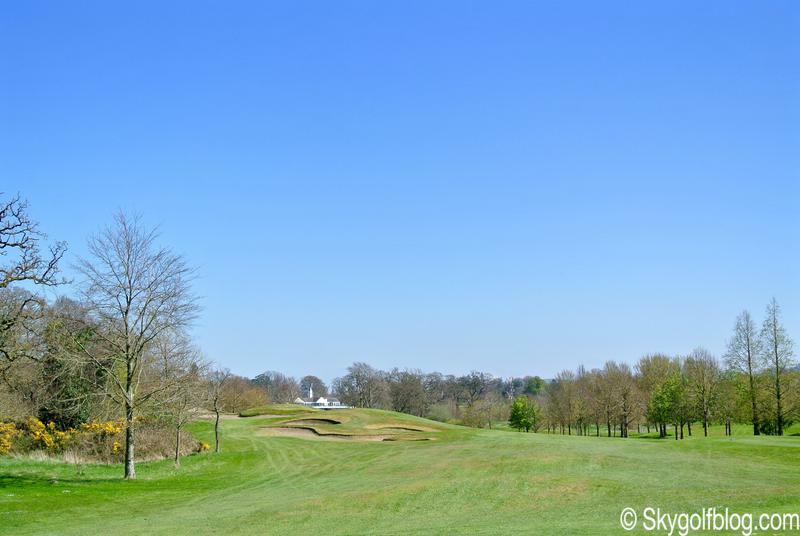 The journey begins with a relatively easy 418 yds par 4. 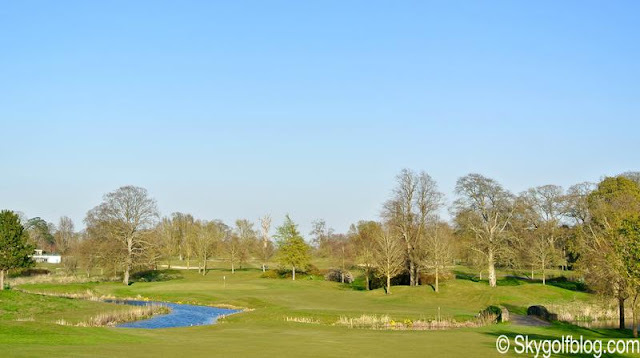 The hole slightly turns to the right with a lake on the left side, the same lake that later fashions the thrilling approach to the final green. The par 4 2nd hole climbs gently uphill along a secluded valley before challenging "The Island Beach", a demanding 170 yds par 3 reminding the 12th at Augusta. 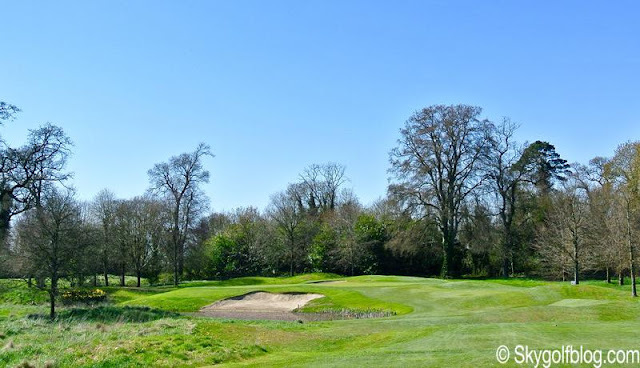 The things become to be more interesting at the "Arnold's Pick" 4th, a 568 yds par 5 double dogleg hole featuring a blind tee shot, sixteen bunkers, a water hazard and three-tiered green. The 5th, 6th and the 7th are three challenging and spectacular par 4s that can be crucial for your score on the front nine. The 5th is a monster of 440 yds uphill, the 6th is a downhill hole of 478 yds with a green that really looks closer then it appears and well protected by the water. The straight and narrow "Michael's Favorite" is the 430 yds 7th, the index 1: its green has a lake on the front left and right and the River Liffey in the background. 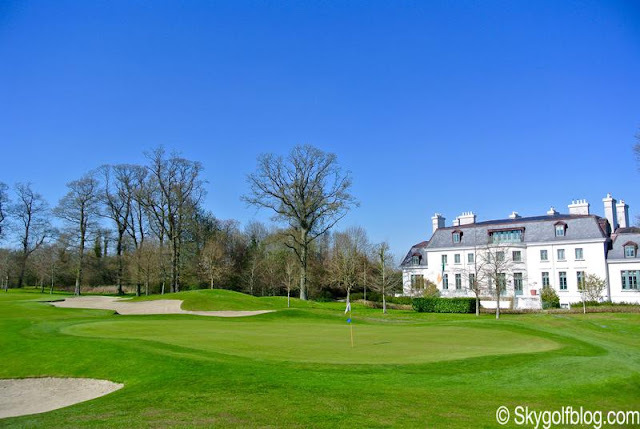 This hole is regularly ranked among Ireland's toughest holes. 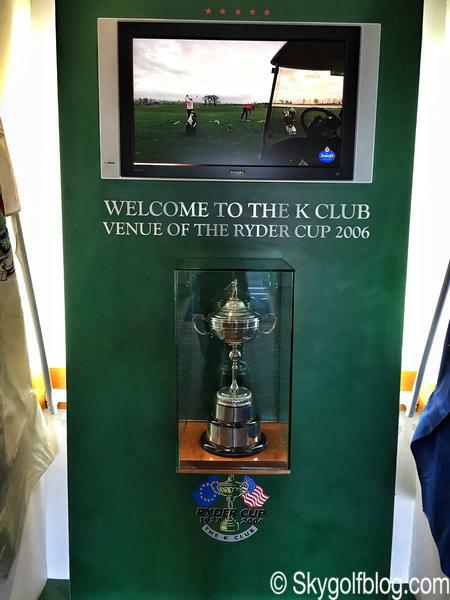 It is here that Tiger lost his 9 iron during the Ryder Cup. 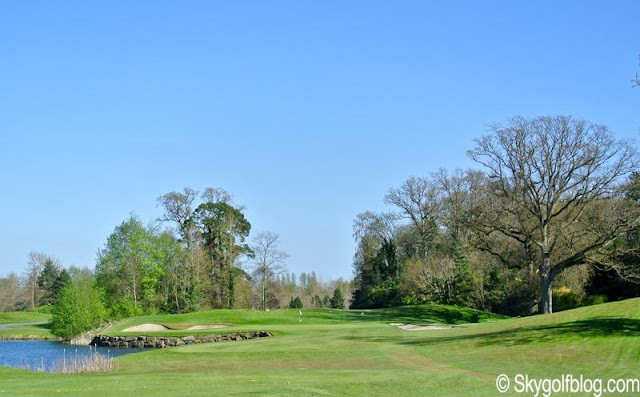 After the demanding par 3 8th nestled beside the banks of the River Liffey and another long par 4 it is time to face the back nine, a collection of memorable holes of rare beauty. The 584 yds par 5 10th is a slight dogleg right hole offering realistic birdie opportunities, followed by the par 4 11th, dogleg left hole where water threatens both the drive and the approach. 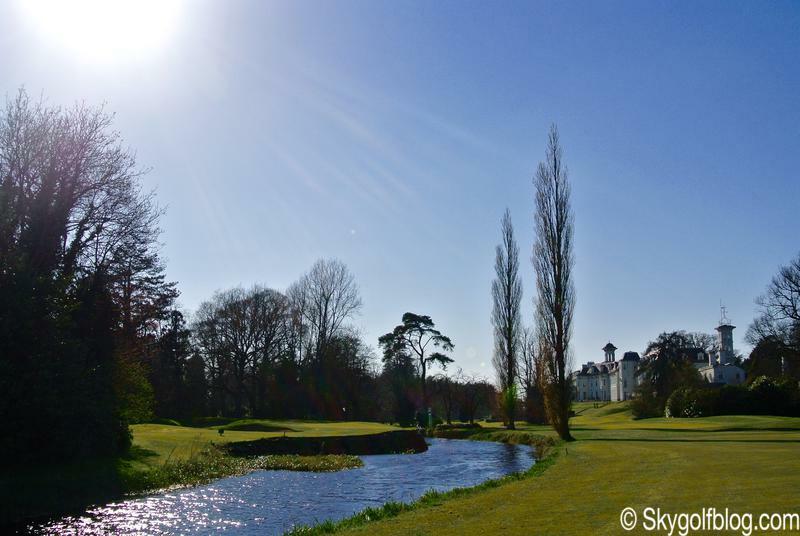 The 12th is the third par 3 of the course, and even here, as in the previous two, water awaits for any errant tee shot. The 13th, 14th and 15th guide the golfer away from the Clubhouse before challenging one of the finest and toughest finishing holes in golf. 1,500 yds of pure golf. 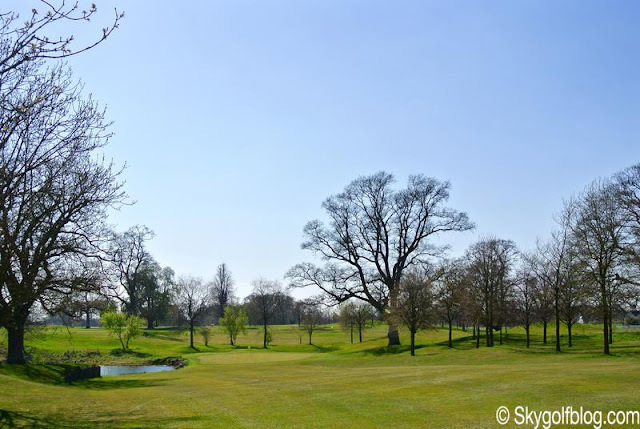 The drama starts with my favorite hole of the course. 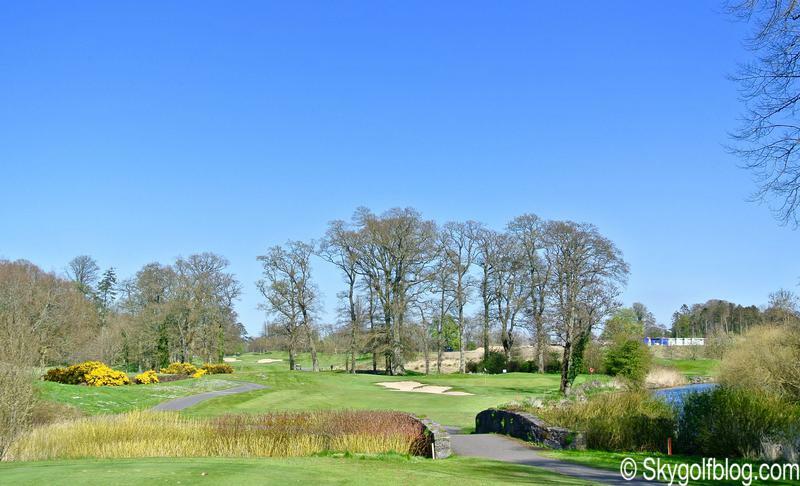 "Inish More" is the 570 yds par 5 16th, a double dogleg monster with all the type of hazards including trees, water, bunkers and rough. 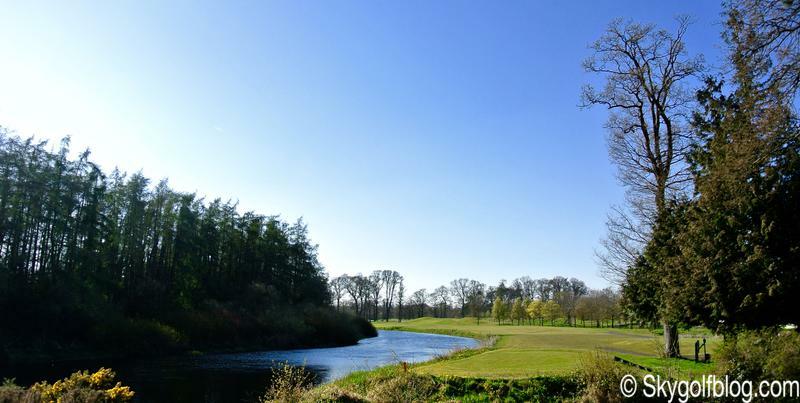 But the real gem of the 16th is its green, placed on a little island sandwiched between two arms of the River Liffey. There then follows a lovely walk through the trees and the spectacular gardens of the Kildare Hotel to reach the 17th tee. The hole is called "Half Moon" after the shape of the fairway which for its entire lenght accompanies a bend in the River Liffey. 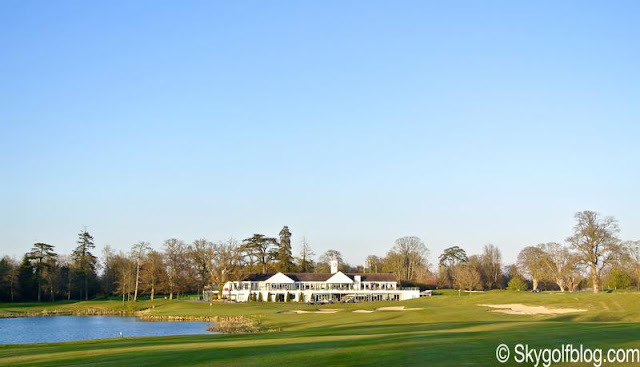 The 18th hole is a true memorable exciting finishing hole. A 537 yds par 5 slightly dogleg right hole with huge bunkers to avoid on your uphill tee shot. 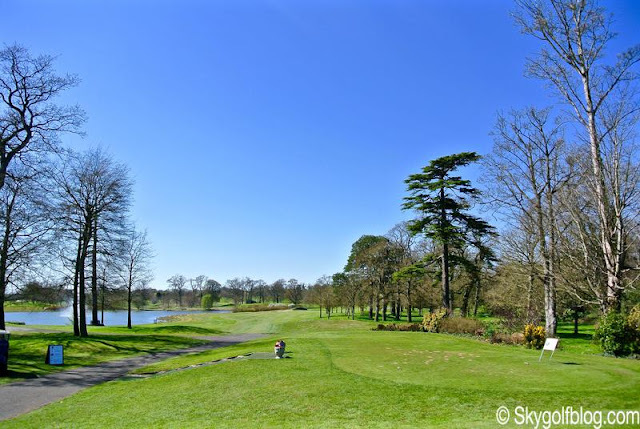 From just beyond the landing area there is a lake down the left all the way to the huge and largest green of the course. Here, just in front the lovely clubhouse is where a hero will crowned after this epic journey, recalling that special day in 2006 where the Europeans won their sixth Ryder Cup.